Is Flash to Flash to Cloud the Key to Solving Primary Storage Challenges? Keeping up with real-time app response in dense operating environments; combatting storage sprawl amid capacity demands; meeting recovery expectations; staying within budget... Storage pros endure these primary storage challenges everyday—but what if they didn’t have to? 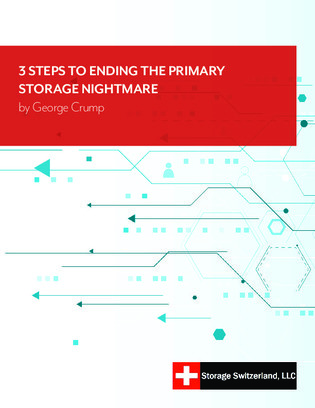 Penned by George Crump, this white paper outlines a 3-step flash to flash to cloud strategy that will mitigate these complications and meet all your needs without breaking the budget. It involves intelligent use of high-performance flash, a hybrid array at the DR site, and archive to object/cloud storage. Curious? Read on here.